TENMAT FF160 is an industry leading intumescent material developed to provide outstanding expansion characteristics combined with an exceptionally solid and durable char structure. TENMAT FF160 retains the fast reaction and high pressure generation characteristics whilst also offering a high level of controlled multi-directional (three-dimensional/3D) expansion. The resulting performance is ideally suited to the more onerous European (EN) Fire Testing of Pipe Penetrations where Uncapped/Uncapped (U/U) testing is required. It is suitable for a wide range of applications including penetration seals for pipes, pipe and duct fire wraps, fire collars, fire barriers and a variety of other construction joint and gap sealing applications where the high expansion characteristics lead to economical material usage. TENMAT FIREFLY 160 is available in a variety of thicknesses from 2mm up to 6 mm in sheets up to 2150 x 1050 mm, or alternatively it can be slit to a variety of widths and lengths within those dimensions. 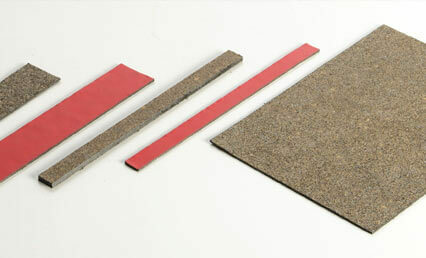 The material can be supplied with self-adhesive backing or PVC coatings.